These Roundtables are a part of the KBT Critical Knowledge Lab that seeks to facilitate an interface between art and other disciplines in relation to shared social and artistic concerns. It aims to document this exchange for researchers and critical thinkers as a frame of reference that brings the discourse into concrete form. Three interdisciplinary Roundtables were held between January and March 2019 leading up to the Biennale . This project is organised in partnership with Alliance Francaise de Karachi. 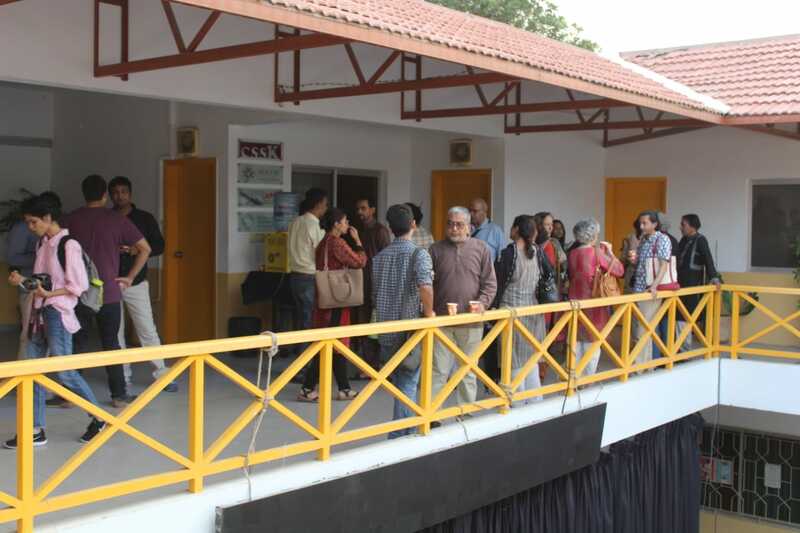 The First KB19 Discursive Roundtable on 11th January, 2019, and addressed Displacement and Social Ecology through the lens of Artist Shahana Rajani’s extensive research and art on Karachi. Social activist, writer and translator Aquila Ismail, historian Gul Hassan Kalamatti, and investigative journalist Naziha Syed Ali on the panel examined displacement in the local context which has been brought about by development, shifting political boundaries and urbanisation. They used their firsthand experience to layer and expand the conversation. 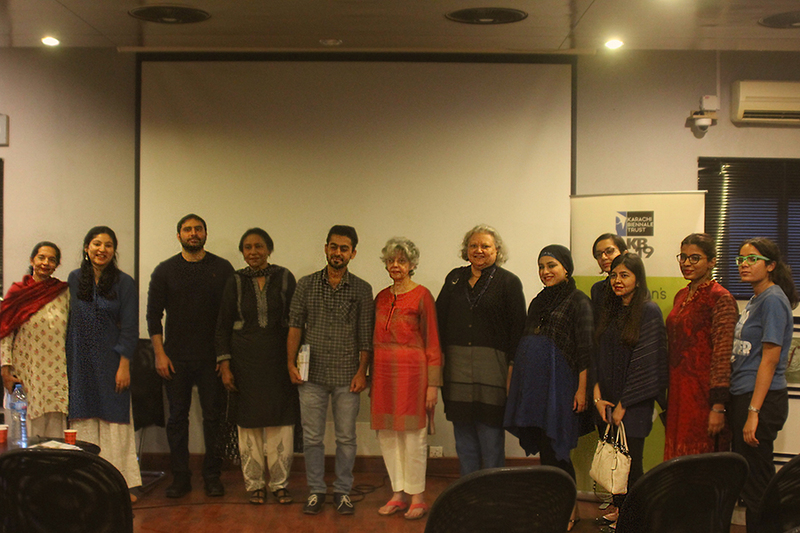 The session was moderated by art critic Nimra Khan. 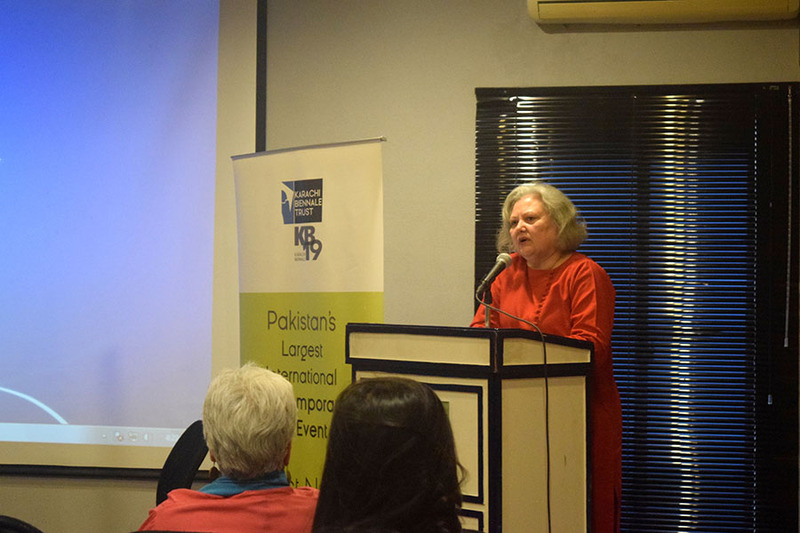 The 2nd Roundtable took place at Alliance Francais on 15th February, 2019, and brought attention to Barriers by looking at the physical barriers that have become an inherent part of the city’s infrastructure of fear and security threats. The work of the main speaker Seema Nusrat that underlines the presence of barricades and security architecture was central to the discussion . The social, legal and psychological implications of physical and social barriers were expanded through the insights of the panelists; Dr. Rubina Feroz, Lynnette Viccaji, and Nausheen Ahmed. 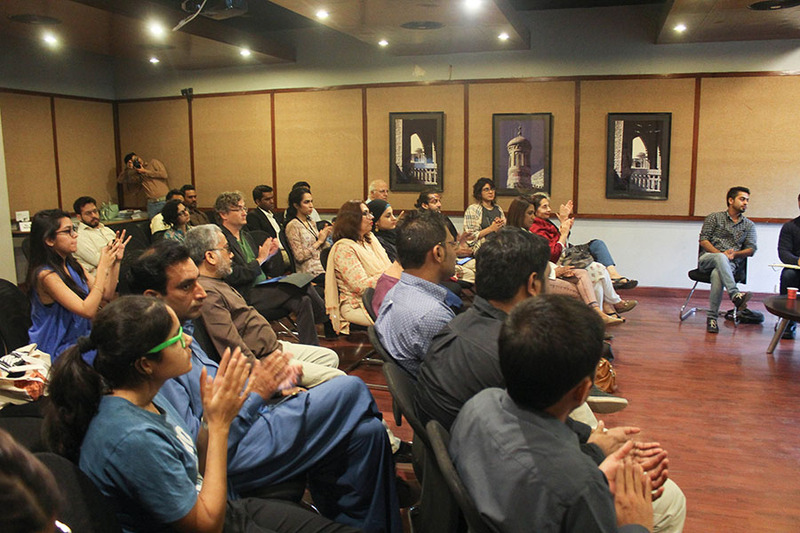 The session was moderated by art critic Nusrat Khawaja. 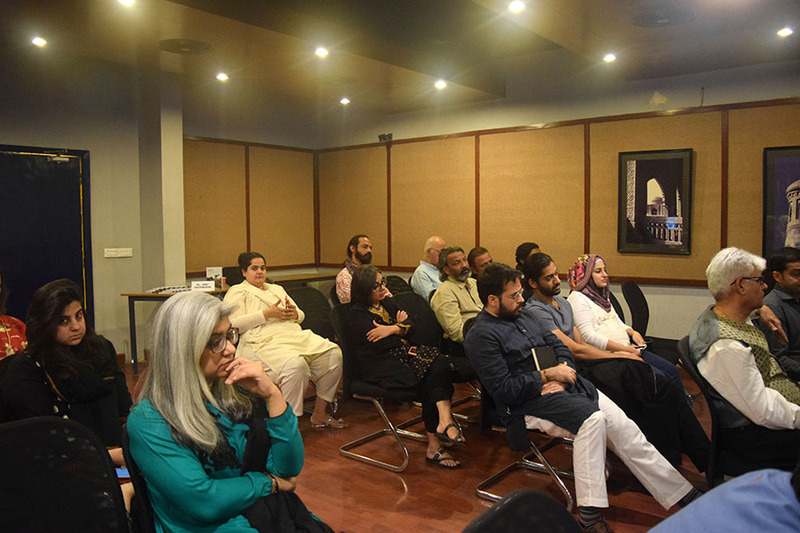 The Third KB19 Discursive Roundtable on 22th March, 2019 and examined the phenomenon of Fake News through the lens of the documentary ‘Don Akhbaar’ by filmmaker and artist Dostain Baloch. The panelists journalist and author Zahid Hussain, human rights and writer Zohra Yusuf and Sofyan Sultan the founder of on-line news platform Soch , joined the artist to foreground the factors behind the manipulation of truth in the local and international media and recent initiatives to curb its impact. The session was moderated by novelist and social activist Aquila Ismail.